A ventilator uses pressure to blow air or a mix of air and oxygen to a patient. This blog post describes how the FS1015FL (shown on the left below) and FS6022 (shown on the right below) mass flow sensors are used in medical ventilators. 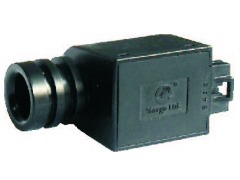 These mass flow sensors are members of the new Siargo line which Servoflo is now offering. Both of these mass flow sensors use a MEMs sensor chip based on the calorimetric principle. The chip is packaged in a special way to receive laminar flow. The sensor chip has a micro heater and a pair of sensors upstream and downstream. When gas flow passes over the sensor chip, it brings the heat from upstream to downstream. Mass flow rate is calculated by measuring the temperature differences from the upstream and downstream sensors. 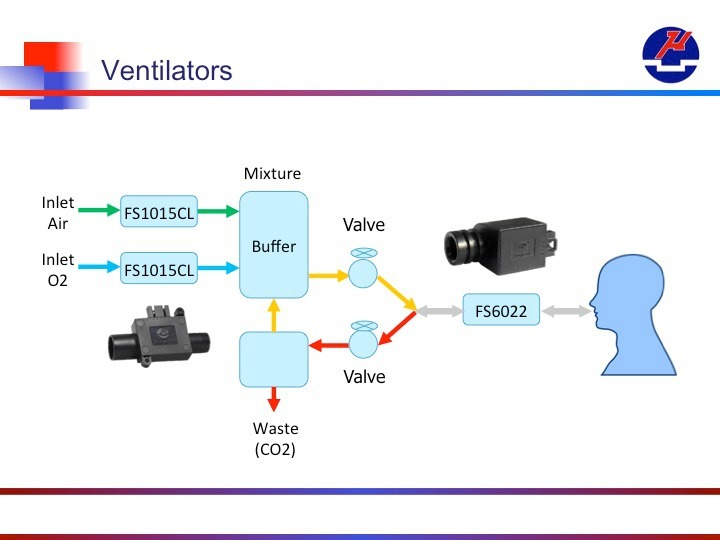 The illustration below shows how the mass flow sensors are installed inside the ventilator. The inlet air and oxygen is mixed and delivered to the buffer and valve. The FS1015CL sensors are calibrated for either 0-100 SLM or 0-150 SLPM. The flow rate of air/oxygen is measured to ensure the correct amount is delivered to the patient. The FS1015 has a 5V supply with a linear voltage output or an I2C interface. Standard ISO 15 mm medical connection is available. 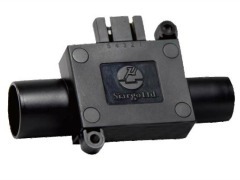 The FS6022 is a mass flow sensor with a bi-directional option. Ranges include up to 250 SLPM or 300 SLPM. Having a standard voltage output, the bi-directional model provides a 2.5 to 5V output for the positive full-scale flow rate and 2.5 to 0 V for the negative flow rate. Here, the FS6022 is used to monitor the inhalation and exhalation of the patient. These sensors can be sterilized in medical liquids. We have a recently updated mass flow sensor product & pricing guide which includes these models.